The Alberta Wheat Commission encourages growers to get a good handle on the quality of wheat they’re selling before pulling the trigger on delivery. AWC chair Kevin Auch told The Western Producer last week that wheat quality will be highly variable this year, adding that growers should look beyond grade and familiarize themselves with all the factors that affect crop value. In addition to moisture, grade and dockage, growers should understand factors such as falling number and vomitoxin, also known as deoxinivalenol or DON. 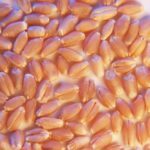 DON levels, caused by fusarium, are unusually high in many parts of the Prairies this year, affecting durum, barley, red spring wheat and other classes of milling wheat. To maximize returns, growers should sample their stored grain and have it laboratory tested for DON and its falling number. 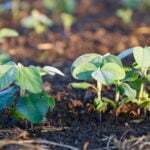 If growers aren’t satisfied with downgrades due to DON, sprout damage or any other degrading factor, they should consider a second opinion. In an Oct. 12 new release, Caalen Covey, AWC’s manager of business development and marketing, said fusarium headblight is assessed on a visual basis using Canadian Grain Commission standards. However, the visual inspection may not represent actual DON or vomitoxin levels in a sample of wheat. A vomitoxin test that attaches a numerical value to DON levels may be warranted. 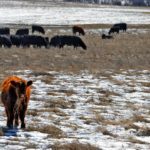 “If your sample has been downgraded significantly for fusarium, getting a vomitoxin test may be worth your while, as the actual levels could differ from the visual inspection, or your sample could have non-DON producing fusarium, which would allow you to better negotiate with the buyer,” Covey said. Falling number will be another important marketing factor. Falling number is known to correlate highly with sprout damage. Most international buyers require a falling number of 300 or greater, but some have thresholds of 350 or higher. Wheat with a falling number greater than 300 normally has little to no sprout damage and could command premiums this year in certain areas. “The falling number may meet the specification a buyer is looking for, regardless of the visual sprouting, which can result in a better price,” said Auch. AWC also noted that they can get a binding grade decision from the CGC, which costs about $50. Details of that service can be viewed on the commission’s website at www.grainscanada.gc.ca. In all cases, growers should take good samples at harvest and ensure samples are well preserved. Accurate sampling can increase a grower’s bargaining power and buyers will become more confident in deliveries if the samples accurately represent what is being delivered. AWC has produced a guide entitled Know Your Wheat Quality to Maximize Earnings, which is posted on-line at www.albertawheat.com/media/blog-the-wheat-sheaf.